being little • bristol uk fashion & lifestyle blog. : happy easter! 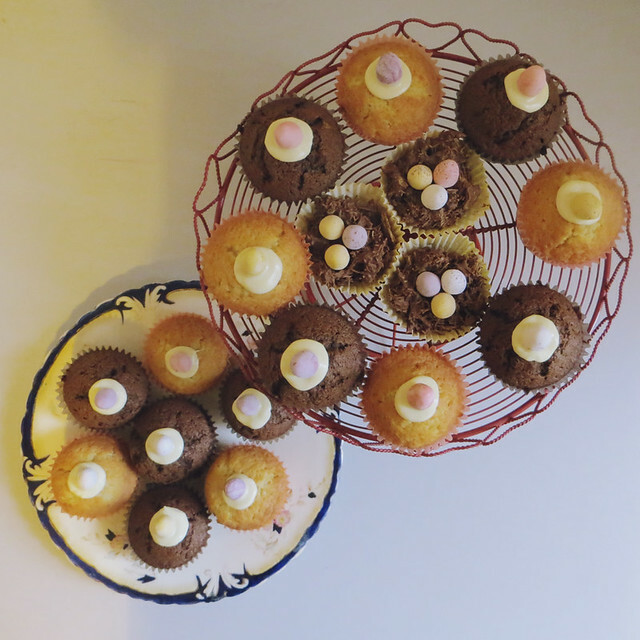 ABOVE: chocolate sponge, whipped double cream filling (plus a hidden raspberry! 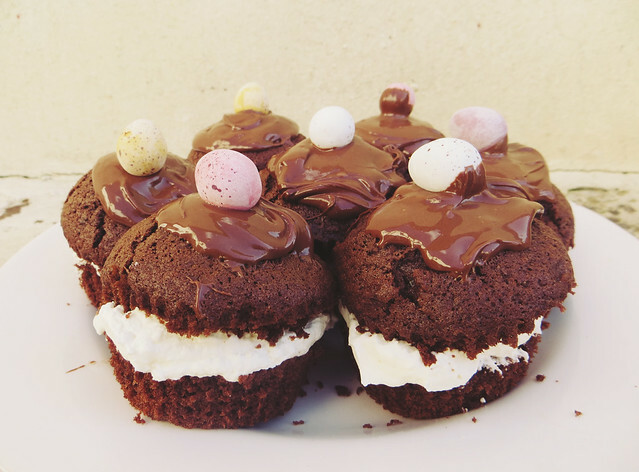 ), melted chocolate & mini egg topping. 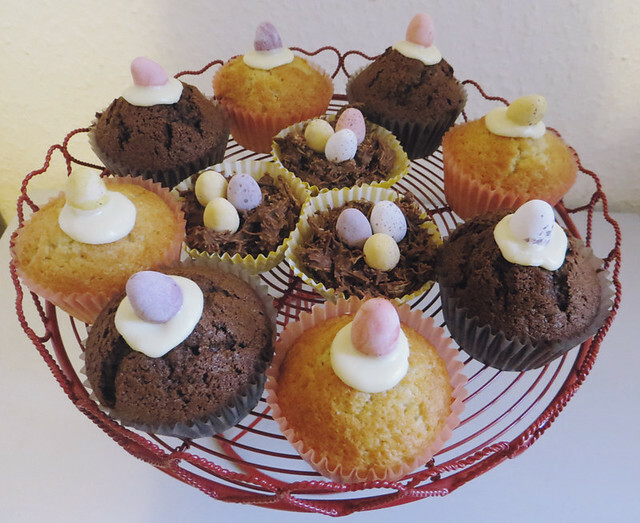 BELOW: shredded wheat & milk chocolate Easter nests; vanilla & chocolate cupcakes with white chocolate & mini egg topping. What delicious things have you been eating this weekend? Those cakes look AMAZING! I bet they were very yummy! The nests are my childhood (And adult!) favs. Omg this post makes me so hungry =] These look amazing. These look gorgeous, I love the nests!